It appears that former Secretary of State Colin Powell, a Republican, isn’t the biggest fan of Donald Trump, according to emails accessed by Buzzfeed News. The website DCLeaks.com — which has reported, but not confirmed, ties to Russian intelligence services — obtained Powell’s emails. It may be the latest example of a Russian entity potentially trying to influence the US presidential election — in July, the FBI said it believed Russia was behind the hack of the Democratic National Committee’s internal emails right before they party’s convention. In the emails seen by Buzzfeed News, Powell also slammed Trump for his role in perpetuating the “birther” myth about Barack Obama’s citizenship and legitimacy as president. “Yup, the whole birther movement was racist,” the former Secretary of State wrote in an email last month. According to the internet news platform, Powell also repeated his stance that “there is a certain level of intolerance in parts of the Republican Party,” in an email from May of this year. Powell had previously expressed that sentiment prior to the presidential election of 2012, but it’s unbelievable just how far the Republican Party has come in proving him right by nominating Donald Trump, a man who has built an entire candidacy on racial resentment. 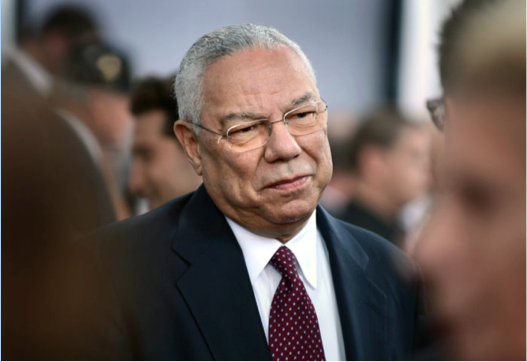 Powell has yet to officially endorse a candidate for president, but it’s abundantly clear that he will not be supporting this year’s Republican nominee.